May 9, 2013: All too often these days we hear of new strains of older bacteria that resist all forms of antibiotic. It is troubling news to be sure. What we hear about much less often is the bacterial microcosm within us. The average human being's body is made up of ten trillion cells. That is a one followed by thirteen zeros. These cells include everything from hair follicles to keratin in our toenails. We also harbor one hundred trillion (a one followed by fourteen zeros) foreign cells in the form of microbes. These are bacteria that we “inherit” from our family when born as well as others that we pick up from our environment. That number is ten times the cells we are born with. Though this probably sounds dire, by weight, that "extra baggage" only amounts to about three pounds of matter; roughly the weight of the human brain. In the past, medicine’s general view was that “the only good bacteria are dead bacteria.” That view, with the advent of cheap, readily available antibiotics, was virtually unassailable. People with raging infections could rely on antibacterials to stop and destroy the microorganisms that posed life threatening situations. At least at first. Over time they began to be prescribed for any infection large or small. Sometimes before the body had a chance to deal with the infection without outside aid. However, this view is undergoing a radical change. For most of us, playing unintentional host to ten times our own cell count in bacteria, these “guests” pose no risk. Indeed the bacteria we play home to seem beneficial in some situations or benign in others. As of this writing scientists have identified over ten thousand species of bacteria living upon or within the average human being. With over one hundred different types living behind the ear, a thousand different varieties in the mouth and hundreds of other genus living upon our hands, our bodies are quite literally home to a galaxy of living microorganisms. One scientist highlighted the difference in microbial colonies between the mouth and gut by saying the difference is greater than that between the arctic and the caldera of a volcano. This was not well understood until researcher David Relman, in the 1999, decided to do a bacterial survey of his own mouth. Relman, an infectious disease doctor, didn’t just want to know what strains lived there, he wanted to know every variety. With that goal in mind he applied DNA analysis to his cotton swab samples. Though the analysis was expensive and time consuming, what he found set science on a new path of discovery. His results revealed that the average human mouth is residence to far more bacteria than anyone had previously imagined; he found at least ten thousand different types of microbe in the mouth alone. With that discovery, it became clear that science’s understanding of microbes and the interactions between them was something no one really, fully understood. We are quite literally bacterial worlds. Though a lot of what we shelter in the form of flora is benign some must also be beneficial. True, we are all painfully aware of the publicized warnings about salmonella and e.coli. If we are paying the least bit of attention, we know where in our food supply the contaminants are, how they got there, and what authorities are recommending we should be doing about it. What many of us don’t realize is that almost every one of us gives refuge to a colonies of these very same bacteria at all times. E. coli has a number of “versions;” some of which are benign and some of which are dangerous. In fact, most of the strains that we play host to are harmless. Recently, however, researchers in Norway discovered that a virus can actually alter the good e. coli, and convert it to a bad variety. Before the advent of antibiotics, almost every American sheltered Helicobacter pylori. This is a particularly troubling bacterium as it has been linked to ulcers and stomach cancer in adults and children. Since the advent of antibiotics that number, as a percentage of the population, has dropped drastically; well below 10% of the population. In premature infants, h. pylori has been implicated in the gastritis, peptic ulcers, and, worst of all, necrotizing enterocolitis. Necrotizing means tissue death and enterocolitis is an inflammation in the gut. This last, typically only seen in preemies, is deadly and very hard to halt once an infection takes hold. It is a fast moving bug, often becoming a life threatening condition literally over-night. An h. pylori infection unless treated early and aggressively results in death. The problem for medicine is spotting it in time and treating it promptly. To that end knowing more about an infant’s microbial load and make-up is vital. If we all play host to these and other bacteria, the question must be “what keeps them from making us sick?” This article will not only attempt to answer that question, but present you with information that may surprise you. Is That Bug Really At Fault? Also, in the h. pylori example above, studies indicate that woman who harbor this bug and give birth through the birth canal (rather than by caesarian section) have much fewer instances of necrotizing enterocolitis in their newborns. There are no hard studies to explain this, but observation indicates there must be a relationship no matter how weak. This begs the question. Is playing host to colonies of these two bacteria actually preventative in some way? To date there is no hard research to back up these claims, but observation indicates there is some relationship between reduced incidents of fatal infections and having “good” versions of these bugs present. It will be up to science to determine just how that happens. Bacteria have also been implicated in stubborn weight gain. Cursory studies have found that people who just cannot seem to keep the weight off have a overabundance of bacteria types called firmicutes. Laboratory mice which have been bred with no bacteria at all then “infected’ with firmicute type bacteria, experience sudden weight gain. A control group of mice, who lacked these types of microbes and were fed exactly the same diet, maintained normal weight. Are firmicutes somehow able to make digestion and nutrient extraction more efficient? On the opposite end of the diet scale scientists have also discovered that people who have an overabundance of bacteroidetes seemed to be able to eat any amount and or type of food with weight gain impunity. This has also been borne out with rodent studies similar to the study mentioned above. The “magic bullet” of the last century was the advent of antibiotics. Before the arrival of penicillin and its close cousins, the only way to treat an infection was with toxins such as mercury (syphilis), arsenic (gonorrhea), and sulfur (skin infections). These were effective, but could be quite deadly to some people. In fact, doctors and drug manufacturers using these compounds worked under the umbrella of “acceptable risk.” For a compound to be effective a certain percentage of the population would very likely die from the treatment. The goal then was to keep that death toll to an acceptable minimum. Antibiotics, in the form of fungus based compounds (like penicillin), changed that ratio dramatically. There are still deadly reactions to these drugs, but these reactions are a much smaller fraction compared to the reactions before. Fungal based antibiotics are also much more effective. 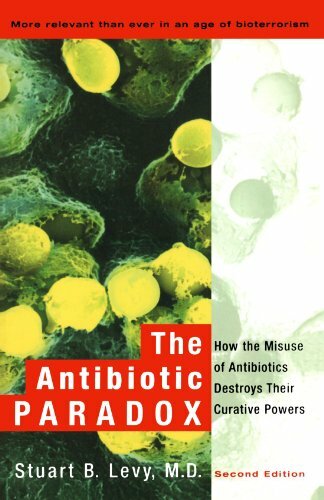 The problem, as science is now finding out, is that the broad-spectrum antibiotics, (called penams and cephams) kill off all bacteria; good, bad, or benign. In some cases this leaves a void where more deadly versions of microbes can re-infest and take hold, crowding out any potential “good” bacteria. As you might imagine this leaves the patient in a precarious state. One specific example is in the repeated use of antibiotics to treat deadly infections such as heart value infections or pneumonia. Over time, these antibiotic courses wipe out the more benign versions of bacteria, making room for a bug called Clostridium difficile. C. difficile creates an intestinal infection that causes chronic diarrhea. The only path of treatment is yet another course of antibiotics which does not always work. 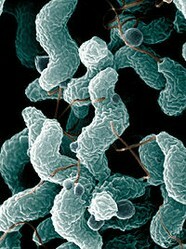 The H. pylori bug is in rapid decline in the developed world with only six percent of the population still hosting it. This means an overall reduction in gastric ailments, but also seems to go hand in hand with an increase in asthma and esophageal reflux (heartburn). To date h. pylori cannot be singled out as the agent responsible for preventing asthma or chronic heartburn, but there is a correlation. It is possible that another bacterium that peacefully coexists with h. pylori helps to prevent allergies and reflux. Perhaps h. pylori “trains” the immune system to be more tolerant, no one really knows. But this is an excellent example of how wiping out a bug for good reasons may results in less than desired results. We are now painfully aware that repeated and unwarranted use of antibiotics lead to proliferation of super-bugs, bacteria that are resistant to all antibiotic treatment, but there are other risks as well. A class of antibiotic called fluoroquinolones can cause tendonitis and tendon rupture. Achilles tendon rupture is four times more common in people taking fluoroquinolones. This prompted an FDA “black box” warning in labeling. Commercial names for this antibiotic are Cipro and Levaquin. Azithromycin, marketed as Zithromax or Zmax (commonly administered as Z-Pak) has been linked to an increase in heart disease. Z-Pak has also been linked to irregular heart rhythm. Antibiotic use in children has been linked to rashes, stomach ache, and diarrhea. Continual use has also been linked to Candida overgrowth which, in turn, is linked to life-long problems with headache, acne, eczema, PMS, athlete's foot, cancer, allergies, depression, chronic fatigue, vision problems, sinus problems, ear problems, yeast infections, mood swings, irritable bowel syndrome, constipation, poor memory, chronic pain, and acid reflux disease. The root cause of this “overgrowth” seems to be the wiping out of bacteria that prevent Candida from taking over in the first place. Antibiotics we don’t take also cause problems. The meat industries in particular (beef, pork, and poultry) routinely use antibiotics to affect the weight of their animals. Sub-therapeutic doses of antibiotics help these animals to gain more weight. Though no one knows precisely why this happens, farmers take advantage of the fact. Also, antibiotics insure that more animals make it to market. But the potential for adverse effects in humans is high. Bacteria that survive on this meat are resistant to human antibiotic treatment. Pork: In, February 6, 2002, a study published by the New England Journal of Medicine, indicated that there may be a link between people who develop Cipro resistant bacteria and their consumption of pork contaminated with flouroquine resistant salmonella. Poultry: Baytril is a drug commonly administered to turkey. The problem begins when a veterinarian finds some indication of e. coli in the flock. Since it is impractical and expensive to treat one bird, the entire flock is given this drug in its water supply; a preventative and sub-therapeutic dose combined. Because baytril is a sister drug to Cipro the possibility of creating drug resistant salmonella is very real. (Consumers Union reported just this problem and was roundly criticized for it.) The result, though inconclusive, indicate an increase in people with campylobacter infections that are resistant to drug treatment. Beef: Micotil and Resflor are the two most common antibiotic drugs given cattle. They are not approved for human use and in fact Micotil can cause heart attacks while Restflor can cause bone marrow growth suppression. As with pork and poultry, these drugs are given cattle to forestall illness and help them gain weight. To date the cattle industry denies a link between human illness and the consumption of beef. The industry insists that a veterinarian can test the cattle for antibiotic residue and reject an entire beef lot if any is found. But that does not address the concern of potential colonies of super-bugs that were created by treating the cattle with antibiotics. These reports also do not mention that the FDA is seriously understaffed, that veterinarians and feed lot owners determine whether or not to test, and enforcement of these rules is entirely up to the cattlemen or feed lot. In other words the industry is self-regulated. In this section we look at using less or fewer antibiotics. In no way is it suggested you never use them, only that if you do use antibiotics, use them responsibly. People need to be more aware of the dangers of “overmedication” and the complications this causes. Remember, a doctor is charged with curing ills, for that reason he or she may prescribe an antibiotic simply because you’ve asked for one, even if that prescription is against the doctor’s better judgment. You can also avoid antibiotics in your food by carefully reading the label on your meat products. A label clearly marked “no antibiotics – ever” is now showing up on meats sold at Whole Foods. Other retailers who have sworn off antibiotic treated meat include; Giant, Hannaford, Shaw's, and Stop & Shop. By federal law, any uncooked meat labeled “USDA Organic,” must be free of all antibiotics and hormones. Labeling that uses terms such as “Natural,” “Antibiotic-free,” “No Antibiotic Residue,” or “No Antibiotic Growth Promotants” are meaningless. None of these designations have any connotation in the law and are therefore deceptive. Scientists are beginning to promote the idea of a healthy and balanced microbial universe. This means no antibiotics and a natural balance of “probiotics” or “good” bacteria. To that end a number of new start-ups have incorporated to explore the possibilities of coming up with viable alternatives to antibiotics. 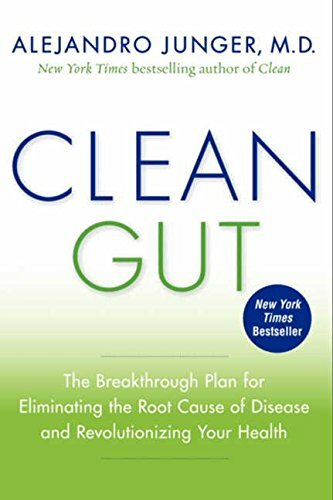 One program, called “American Gut”, invited top scientists in the field to submit flora (another word for microbial life) and have that microbial life thoroughly analyzed for $99. There was even a package for couples called “Microbes for Two” which invited pairs of participants to have their flora analyzed for $189. This could even be you and your dog (or cat). Participants would get a printout listing all of the microbes they harbor. “American Gut” and “uBiome” are warehousing all of the data collected from their programs and making that data available to researchers. “Second Genome”, founded by Peter DiLaura, is setting out to find alternatives to chemically derived antimicrobials. The company’s stated mission is to find “microbiome modulators” that alter infection, immunity, and metabolic disease. The Republic of Karelian is just due east of Finland. Because of their geographic locations both Finland and Karelian share the same climate and environment. Due to the break-up of the Soviet Union Karelian is markedly different than Finland economically as well as in standards of living. Life-style factors are also noticeably different between the two countries. Finns, by and large, live much more hygienic life-styles compared to their Karelian neighbors. This includes exposure to microbial flora, the rate of infection, and treatment for those infections. To determine what the differences in cleanliness levels might produce, the Department of Virology, University of Tampere, Finland, set out to determine the levels of hepatitis A virus, enterovirus, H. pylori and T. gondii infections. The study also set out to determine the differences in the number of incidents of allergic reaction in the total population of each country. For consistency, The University of Tampere studied two hundred sixty-six children from each country; a total of five hundred thirty-two children. The children were chosen at random, but with the following two exceptions. Children from both countries were chosen by ethnicity such that both groups had similar ethnic backgrounds. Children chosen for study were also between seven and eleven years of age. Both groups were given blood tests to measure microbial load throughout the study. The children’s doctors were charged with keeping detailed records of each individual’s health. U. of T. Finland findings are that the children from Russian Karelian had much higher incidences of H. pylori and T. gondii infection. These two bacteria are typically used as indicators of poor hygiene. The higher the bacterial load of these two microbes the less hygienic the children’s surroundings. So far test results indicate that children with earlier exposure to these microbes are less sensitive to allergens. Specifically reactions to birch pollen and cat dander were measured in both groups. Finnish children become progressively more sensitive to pollen and animal dander as well as have more instances of asthma and hay fever. The Karelian children’s reactions to these allergens remained flat. Though these findings show a correlation between microbial load and allergic reaction they do not establish a cause and effect. This field of research is relatively new. It wasn’t until 1999 that there was any indication that we played “home” to so many microbes. There are also now doubts about H. pylori. Maybe it isn’t the real culprit in ulcers and stomach cancer. Perhaps it simply gives the real cause easy access to the stomach lining. Not all doctors agree; some insist that “the only good h. pylori is a dead h. pylori,” but there is little doubt that there is some correlation between harboring this so called bad flora and a reduction in allergic reactions in studied populations. Science simply does not know the exact mechanism at play. Because there are now known to be so many more bacteria than originally imagined it is going to take time, creative research, and enormous databases, along with the associated computing power, to sort out what is really going on. That said, there is little doubt that our dependence on antibiotics is a two-edged sword. They have made previously deadly microbes little more than an annoyance. But, we have also inadvertently created stronger microorganisms, some that are completely resistant to all forms of treatment. This poses a very frightening possible future. 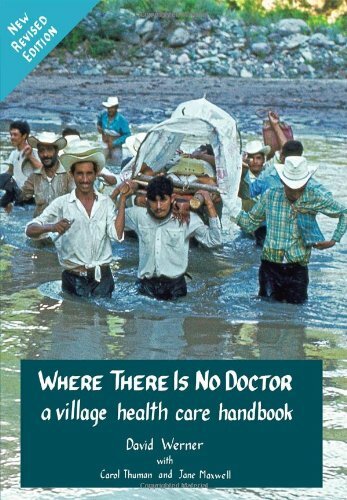 One in which we get revisit the bad old days of “kill or cure” or the time when previously minor infections could kill. As of now there are no firm answers on what constitutes “good” bacteria or “bad” bacteria, but we do now have some tantalizing clues to work from. Thanks for the keen insight Elias. I agree completely! I agree that this is a subject that requires further scientific research and also deserves more awareness on behalf of the people. For all the good that modern medicine has offered there are critical issues such as those you mention here, that should not be overlooked. The transformation of old microorganism into new, treatment resistant forms could be really worrying especially in relation to the fact that modern antibiotics have largely altered/weakened even destroyed our immune system. Thanks Frugalrvers. This has been in the news so much I thought it time to try to tackle the subject. I'm no M.D., but as an amateur scientist (in other words an unpaid information junkie) I thought it was time. 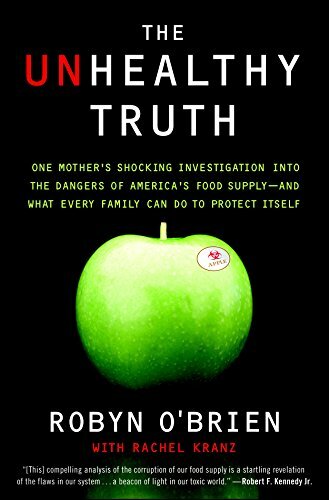 I was inspired by news reports, an article in Smithsonian, an announcement (very recent) by Consumer Union regarding salmonella, and all the recent warnings by the CDC. Though there is no hard information on precisely what bacteria are truly "bad," the correlative studies are intriguing. The Finnish study in particular is very interesting. Maybe that's why I'm so disgustingly healthy with no allergies. In my youth I went without shoes, played in dirt, drank from the garden hose, and rarely washed my hands. Of course, once I hit my teens all that changed, but perhaps by then all those bugs gave my immune system the workout boost it needed. A decade ago, I was an antibiotic junkie...until my body started falling apart. Fast forward to today and my holistic MD and I just never catch anything anymore. I keep my immune system strong with dandelion root, maitake and garlic and just never get sick. I used to catch anything and everything! Absolutely, if I was gravely ill and losing the battle, I would take an antibiotic - but only as a last resort. First Aid: Would you Know What to Do? A medical emergency could happen at any moment. The question is whether you have the knowledge to save lives. We should all have that. Would You Recognize the Symptoms of Hypothermia in Time to Save a Life? If you've ever dithered, teeth chattering with the cold, you've been in the onset of mild hypothermia. If it went beyond that would you know the treatment for hypothermia?